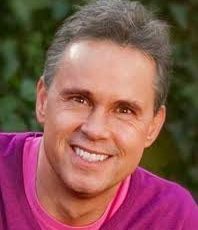 Robert Holden, Ph.D., Author and MORE from the UKI just returned from an amazing 5 day COACH CAMP/retreat with the most “genuine and authentic” human being whose presence I’ve ever had the pleasure to BE with.176 people from around the world came together as the expression of ONE living SPIRIT. It was as Robert would call it: A HOLY SHIFT, and it TRULY was holy, powerful and divine. Below is a f*ree gift from Robert that I’m happy to share with you. A Daily Choice: Some people chase happiness and others choose happiness. Shift Happens: Giving up all hopes for a better past and living happily even after. You can download the file by right clicking “save as” on your audio devise, or just listen. You will want to set aside at least one “undisturbed” hour for this empowerment program.